What is Movin’ On Up? We want to take a moment to give our readers a refresher of just what Movin’ On Up is. Most of you are long-time readers, but we’ve gained quite a few newbies in the last few months. In order to clarify what we do here, let’s back up a bit and explain what Express Employment Professionals is all about. Our blog is powered by Express employees, and that’s where our expert advice comes from. Express Employment Professionals is a leading staffing provider in the U.S. and Canada, and employed a record 510,000 people in 2016. Express works with job seekers to help them find the right jobs for their skills and experience, and never charges a fee for our services and support. A variety of jobs are filled through Express, including full-time, part-time, and temporary positions. And, as one of the leading staffing agencies in North America, Express provides employment services and workforce solutions to employers throughout our community. So, what is Movin’ On Up’s purpose? To prepare job seekers for struggles they might face during their career, from interview to hire to retirement. We help readers discover how to get the interview, how to nab the job, and how to excel in their position. We want each reader to discover and maintain an exciting career. All blogs are backed by Express industry knowledge, so you know you’re getting quality information. New articles are added to Movin’ On Up the first Wednesday and Friday of every month, and every Tuesday and Thursday thereafter. Have any questions or suggestions for Movin’ On Up? Let us know in the comments below! 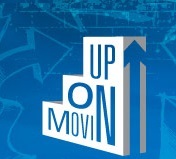 The Movin’ On Up Blog is Getting a New Name!